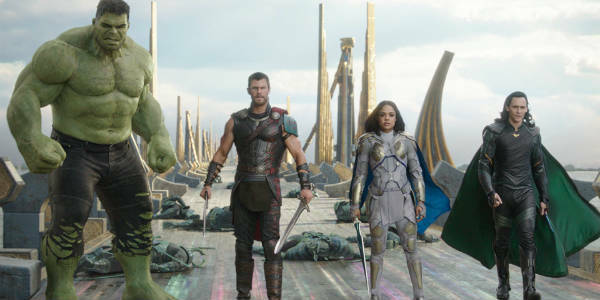 Marvel Studios’ Thor: Ragnarok, the God of Thunder’s third installment in the Marvel Cinematic Universe, electrified both audiences and critics alike reaching over $845M at the global box office. Now you and your family can enjoy it over and over in the comfort of your own home. The colorful cosmic adventure, loaded with action, humor, drama and spectacle, bursts into homes Digitally in HD and 4K Ultra HD™, and Movies Anywhere, on Feb. 20 and on 4K Ultra HD™, Blu-ray™, DVD and On-Demand on March 6. 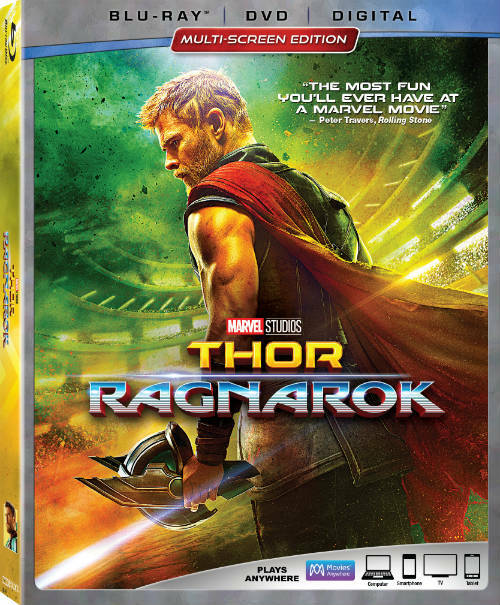 The film finds Thor (Chris Hemsworth) imprisoned on the other side of the universe without his mighty hammer and finds himself in a race against time to get back to Asgard to stop Ragnarok – the destruction of his home world and the end of Asgardian civilization – at the hands of an all-powerful new threat, the ruthless Hela (Cate Blanchett). But first he must survive a deadly gladiatorial contest that pits him against his former ally and fellow Avenger – the Incredible Hulk (Mark Ruffalo) – and grapple with his silver-tongued adopted brother Loki (Tom Hiddleston), the fierce warrior Valkyrie (Tessa Thompson) and the eccentric Grandmaster (Jeff Goldblum). The releases will include exclusive, never-before-seen bonus features include deleted scenes; hilarious outtakes; an exclusive short: part three of the mockumentary “Team Thor,” retitled “Team Darryl” and featuring an eccentric new roommate; the evolution of MCU’s heroes culminating in “Avengers: Infinity War;” numerous making-of featurettes which explore the unique vision of director Taika Waititi; the story’s unstoppable women; the effortlessly charismatic Korg; the tyrannical leader of Sakaar, the Grandmaster; and the film’s comic-book origins; audio commentary by Waititi; and more. Learn more online at marvel.com.